Calling all last minute shoppers! Yes, you…you know who you are. You’ve been lounging in your long-johns sipping hot chocolate and watching your favorite Christmas movies all month, and now you’ve realized you have less than 10 days before Christmas and you still haven’t ordered holiday cards to send your family and friends. It’s not too late!! 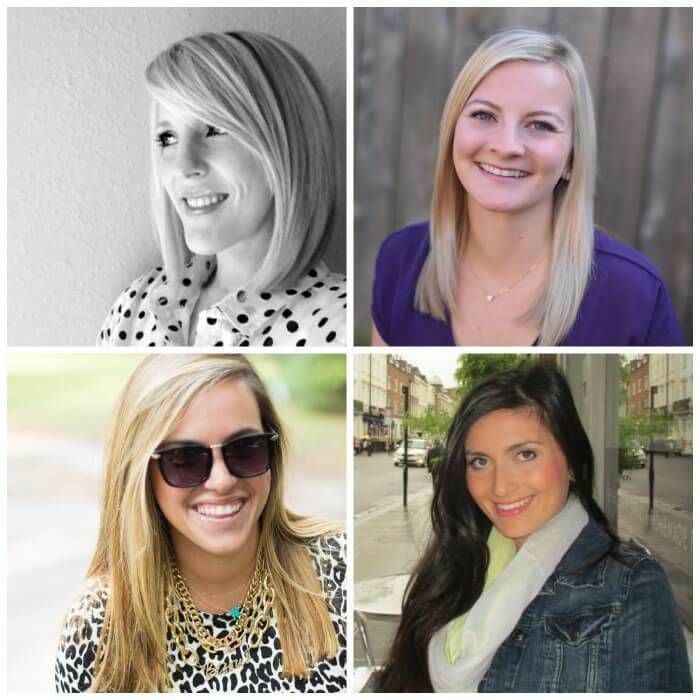 Luckily for you, Minted has your back. 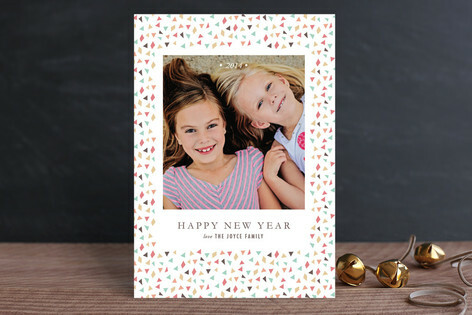 If you’re feeling like you’ve missed out on sending Christmas cards, why not send New Years cards to the people you love most instead? 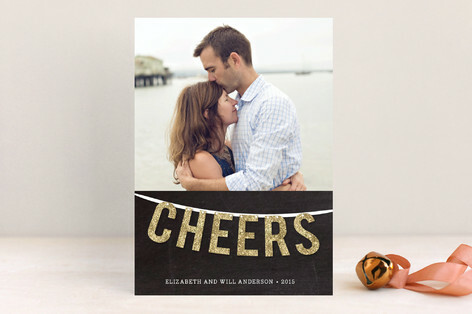 Minted has some beautiful options, and you can receive 15% off all holiday and new years cards using code FLURRY15. I love this next card, especially for any of you that are needing a last minute card, and you don’t have a photo that you’d like to share. 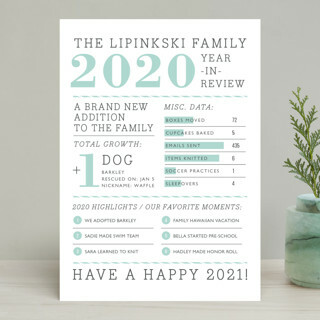 Share all your favorite memories and achievements of 2013 with this fun “Year in Review” card. 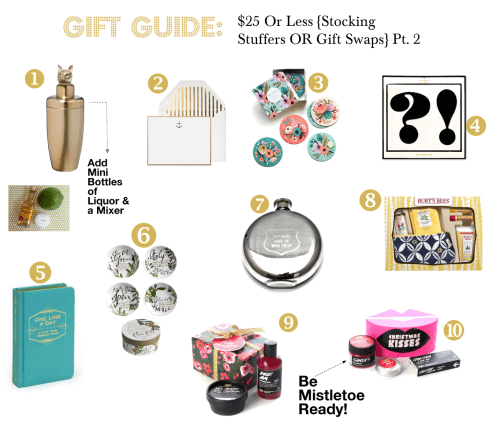 If you’re struggling to find a gift for you friend, coworker, or even mom or sister, then Minted has you covered there too. 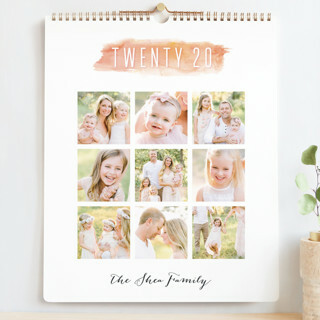 How about a beautiful calendar with photos of you, a grandchild, pet, or a vacation. 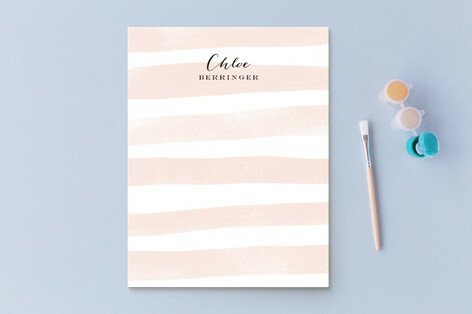 Minted also has my favorite stationary which can be personalized for that extra touch of luxury. 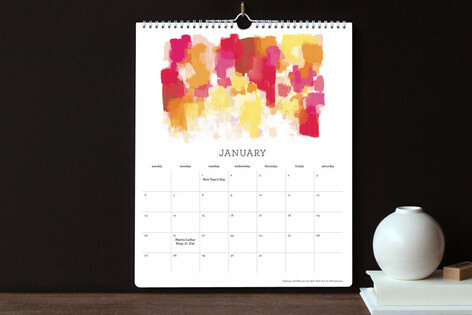 A Year of Art - Perfect for art or home decor lovers. 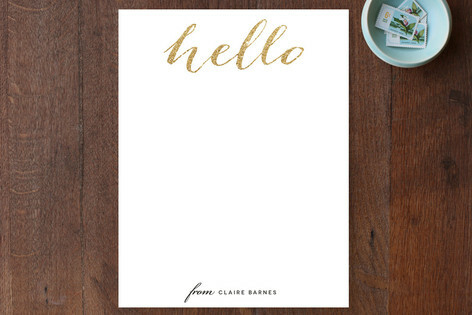 Hello Friend Personalized Stationary - I’m smitten with this stationary, and will be adding it to my desk very, very soon. 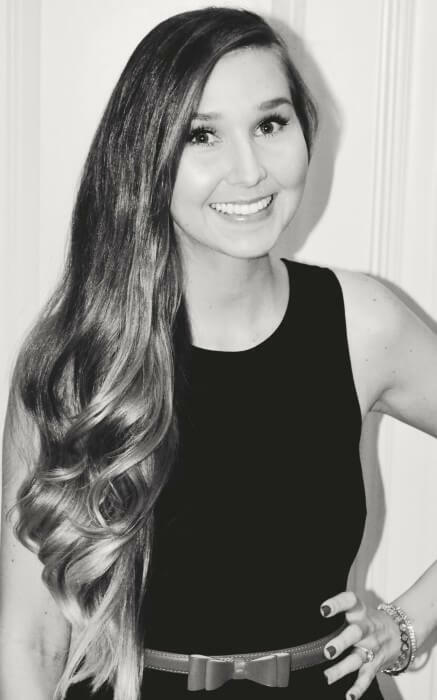 There are too many gorgeous designs, how’s a girl to choose?! They also have more masculine designs for the man in your life. You still have time to place your orders and receive your goodies before Christmas, but hurry, hurry, hurry! Save 15% off when you buy 3 or more gifts using code GIFTS15. 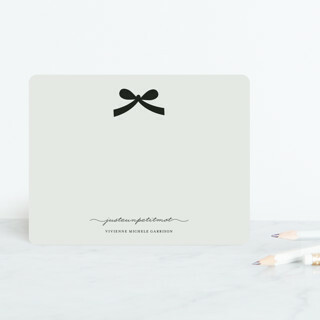 The hardest part about ordering from Minted is deciding which beautiful card, or gift to choose. 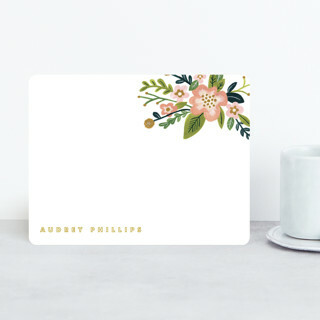 I could spend hours curled up on the couch with my laptop browsing their site, and personalizing everything from ink colors, card shapes, types of paper, card backing, and even custom return labels. It’s easy finding something that everyone on your list will love. Giveaway 6 - ends today, so get your entries in! 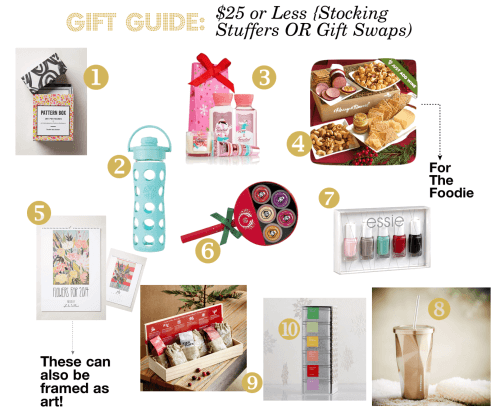 Today I have rounded up my favorite gifts under $25. So many of you asked for co-worker gift ideas, or gift swap ideas, and I think these are all perfect. Many of these items are MUCH less than $25, so pick your price point and shop my finds. I hope you all have a Happy Thanksgiving! I’ll be back on Friday, and kicking off the official “12 days to Christmas” countdown with a “Naughty or Nice” inspired giveaway. I will be hosting a giveaway every Monday, Wednesday, and Friday leading up until the 25th. 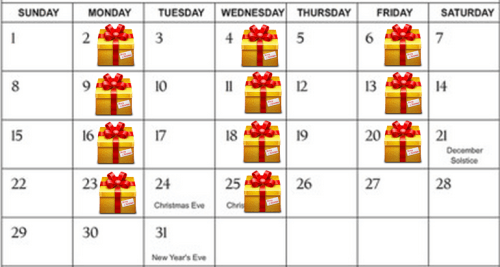 12 days, 12 prizes, DON’T MISS OUT! I hope you all enjoyed my first Gift Guide installment. I’ll be sharing 2 per week until Christmas.